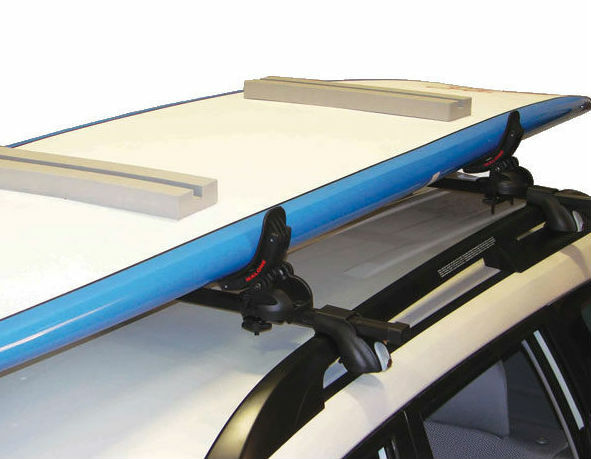 When you’re heading out with a couple of your friends and need to stack multiple paddleboards on the roof of your car, one on top of the other, a few more issues come into play for you need to think about. Biggest paddleboard on the bottom. I’m no engineer but common sense says that the biggest paddleboard goes at the bottom of the stack of SUPs because it provides the best foundation / stability. Watch the spacing of fins and tails. 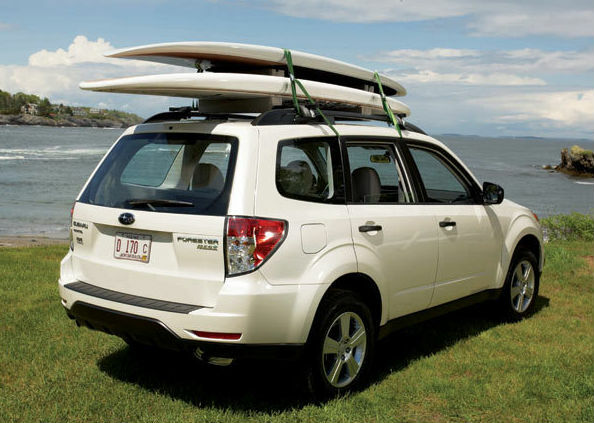 Make sure there’s some space between the tails of the paddleboards and the fins facing up from the boards below them. If you stack your SUPs too closely together, with some wiggle or if you hit a bump, the tail of one paddleboard could be cut by the fins from the paddleboard below it. Put something between paddleboards. If you’re not using a SUP bag, the something between paddleboards can be as simple as an old towel, but it’s always better to put something between the boards you stack on your roof rack than nothing. A great solution is a foam board spacer block.